Quite intricate covering has been hand woven in a cherokee basket style weaving, whether by a Victorian lady or a native American is uncertain, but the outcome is just great. 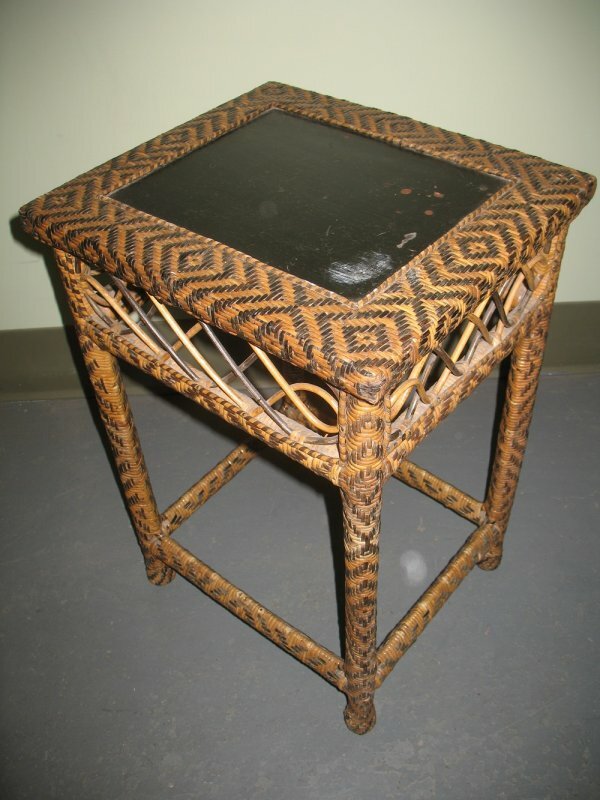 Complicated weave covers all aspects of the table including the legs. Black painted center panel. Collected in MA.